An effective health and safety program protects your workers and workplace from preventable injury and damage. Reducing injuries and damage keeps your staff working, and avoids unnecessary costs to the business. AgSafe Safety Advisors and Consultants can help you find hazards and prevent them from causing injuries. Free training and education for employers and workers to ensure their safety responsibilities are fully understood. 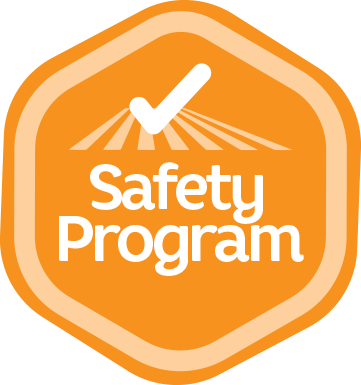 Advice from AgSafe will help you maintain your safety program. Available resources include decals, signs and downloadable checklists. Do you need health and safety guidance? AgSafe provides free advice, support and resources to all agricultural businesses and workers in British Columbia. Landscaping companies who join AgSafe also have access to free advice, support and resources.